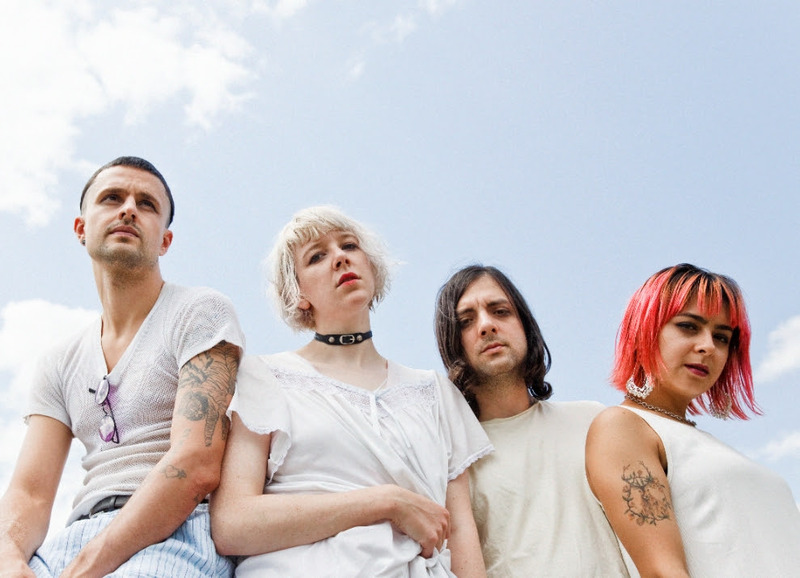 Toronto-based grunge/punk band, Dilly Dally, have released the second track from their upcoming album, Heaven. Sober Motel takes a personal look at how a life on the road can take its toll on you and how you shouldn’t let that bring you down. Even if the Rock n Roll lifestyle makes it seem as though there is nothing better than drinking and getting trashed every night, there is nothing wrong with taking a step back when things are getting out of hand and there is nothing wrong with putting yourself first – especially when your addictions make you feel like giving up on the things that make life worth living. Opening with fuzzy distorted guitars, Sober Motel gives way to a dream-like drawl coming from singer Katie Monks who has a voice like rubbing razorblades on silk. “I wanna tell you, I haven’t wept in so long. When I’m sober, my soul comes screeching.” There’s a kind of vulnerability and air of intensity that is the combination of subtly layered vocals – which are ever so subtly incomprehensible – and the simplistic guitar riffs that carry the song through. The guitar solo towards the end of the song, which mimics the screeching of vocals, is an incredibly powerful moment where you can feel the purging of pain and emotions that come with tackling such a difficult and isolating experience in life. Dilly Dally’s album will be released on September 14th and if this song is anything to go by, it definitely be one to look out for.